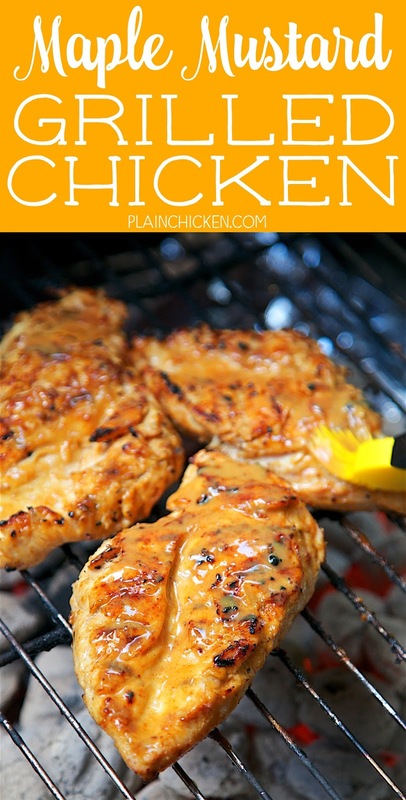 Maple Mustard Grilled Chicken - so simple! 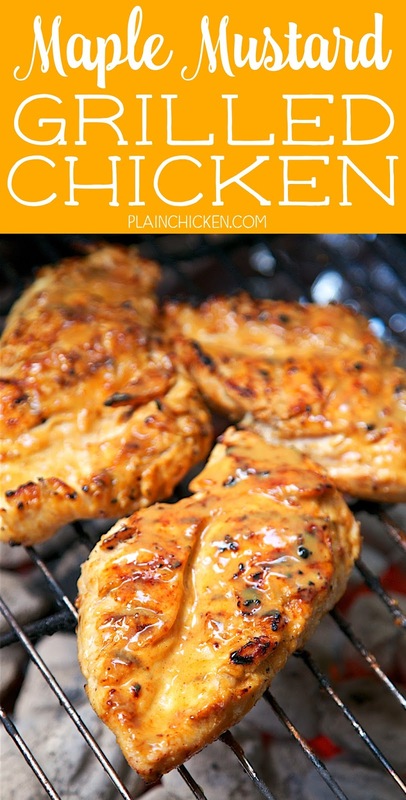 Only 6 ingredients - chicken, maple, dijon mustard, lemon juice, paprika and salt. Let the chicken marinate in the fridge and then grill. We LOVE this chicken. My husband asks me to make this at least once a week! We grill chicken all the time, so I am always coming up with new ways to prepare the chicken. This recipe is adapted from one of our all-time favorite marinades. The original recipe uses honey. Chicken Legs said we should try the chicken with maple instead of honey. Brilliant idea! OMG! SO good! We let the chicken marinate overnight in the fridge and threw it on the grill. If you want to kick this up a notch, throw some cooked bacon and cheese on top of the chicken before you take it off the grill. That is actually Chicken Legs preferred method of eating this chicken. He asks me to make this at least once a week! I'm not even joking. He loves this! 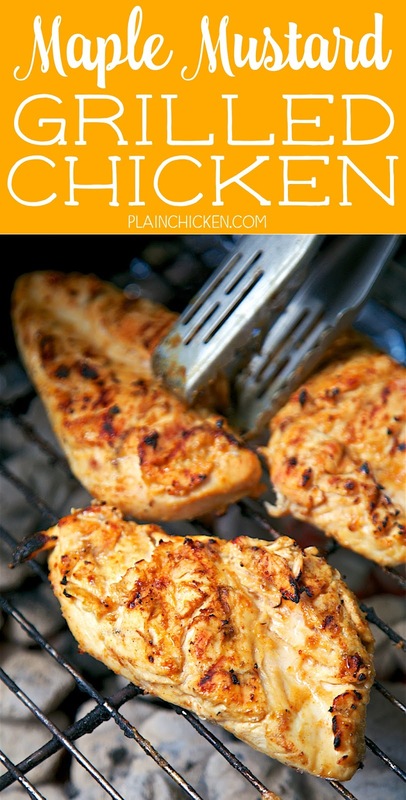 Don't forget my tip for perfectly grilled and juicy chicken - pound the chicken to an even thickness. We put the chicken in a ziplock bag and use a meat mallet to pound out the thicker hump. This helps the chicken cook evenly and not dry out. This eliminates the thinner part drying out while you are trying to get the thicker end cooked. Whisk together maple syrup, mustard, lemon juice, paprika and salt. Reserve 1/4 cup of marinade to brush on chicken when cooking. 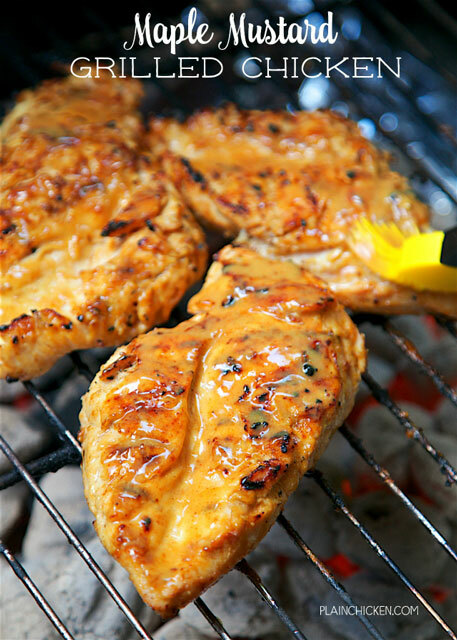 Pour remaining marinade over chicken and refrigerate a few hours to overnight. 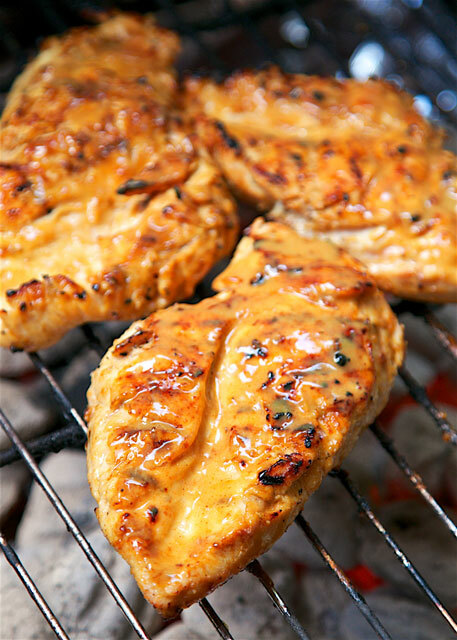 Remove chicken from marinade and grill 12 to 15 minutes, until juices run clear. Brush chicken on both sides with reserved marinade before removing from grill. This looks really good but you said you pound it to get even thickness and this doesn't look pounded. It was pounded. We pound the chicken every single time we grill. Now these seam like recipes I can do. Have a ton of Chicken breats in our freezer and I actually have these ingredients! Have to cut it down to 2 persons but even that looks doable.